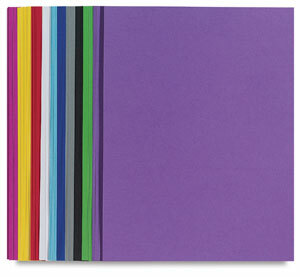 This high quality, affordable construction paper cuts and folds cleanly, and is acid-free, lignin free, and light stable. The sizing allows it to hold paint and marker without bleeding. It's perfect for drawing, sketching, and pastels. It ranges in weight from 120 gsm to 130 gsm (approximately 80 lb). 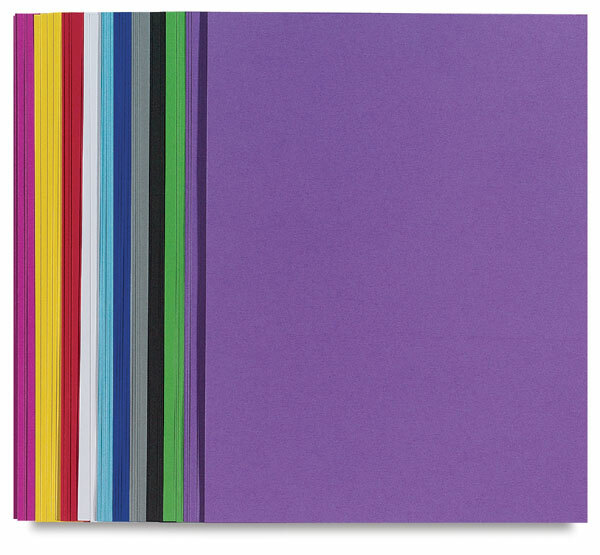 Assorted Colors — The Assorted Colors package includes 50 sheets, 5 each of Black, Blue, Brown, Green, Orange, Purple, Red, Turquoise, White and Yellow.